The tank biathlon contest resumed as part of the 2017 International Army Games on Tuesday in the Moscow Region. 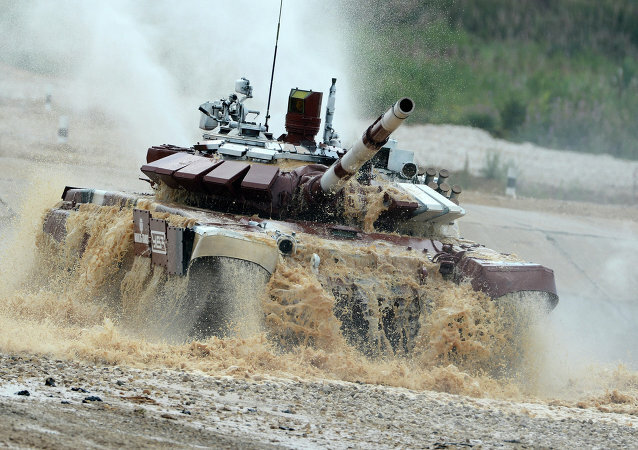 Watch the spectacular tank biathlon contest on the 4th day of the 2017 Army Games in the Moscow suburb of Alabino. The international Tank Biathlon contest kicked off in Moscow Region's Alabino training area on Saturday, signaling the start of the large-scale annual International Army Games 2017. The Russian Defense Ministry plans to extend the aviation cluster of international Military-Technical Forum Army-2017 and attract foreign producers to participate in the shows, Deputy Defense Minister Gen. Pavel Popov told journalists on Friday. The International Army Games 2016 ended on August 13. Over the course of two weeks combat pilots, military engineers, recon operators, tanker crews and gunners from 19 nations competed with each other to determine who's the best of the best. 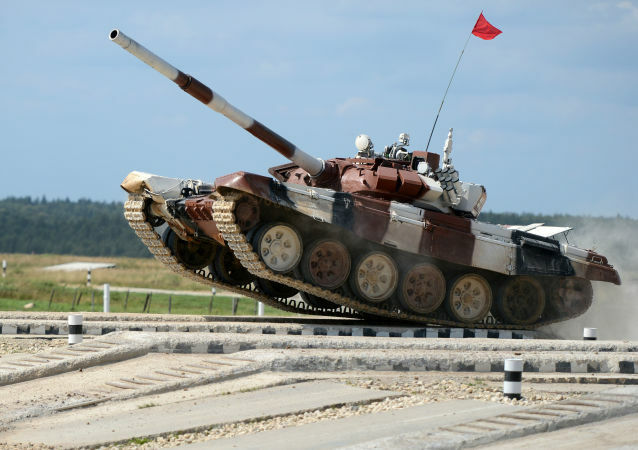 Tank biathlon competition began at the Moscow shooting range Alabino, according to official statement. Russian troops took advantage of warming temperatures to rehearse for the 2016 Victory Day Parade, dedicated to the 71st anniversary of victory in the Great Patriotic War. The closing ceremony of the first International Army Games was held on Saturday, August, 15, on Alabino Range in Moscow Region. Serbian Defense Minister Bratislav Gasic says the cooperation between Russia and Serbia has increased significantly over the past few years. Russia hosts the first International Army Games on August 1-15 with teams from 16 other nations expected to take part in various contests organized by the Russian Defense Ministry. 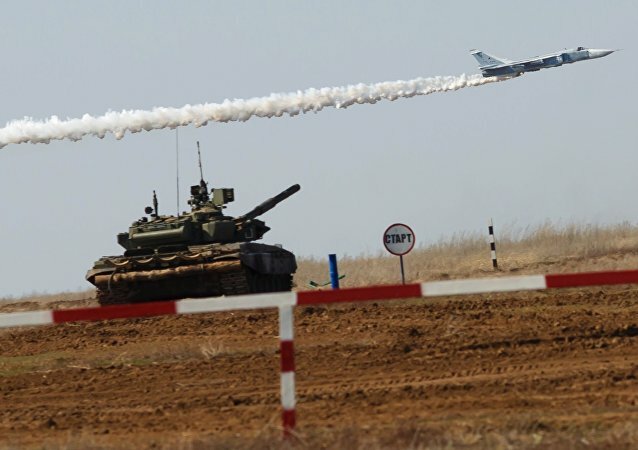 Modern Russian-made pieces of weaponry will hit over 150 stationary and moving targets, showing their combat capabilities at the inaugural Army-2015 international forum, the Russian Defense Ministry said Tuesday. 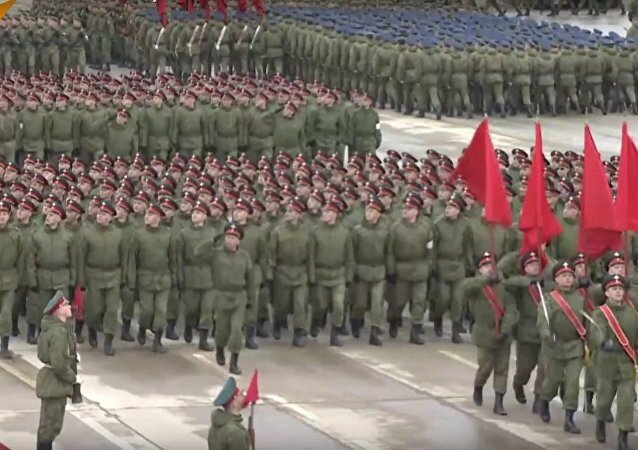 The upcoming jubilee Victory Parade on May 9 is going to outshine all previous ones in the Russian modern history. 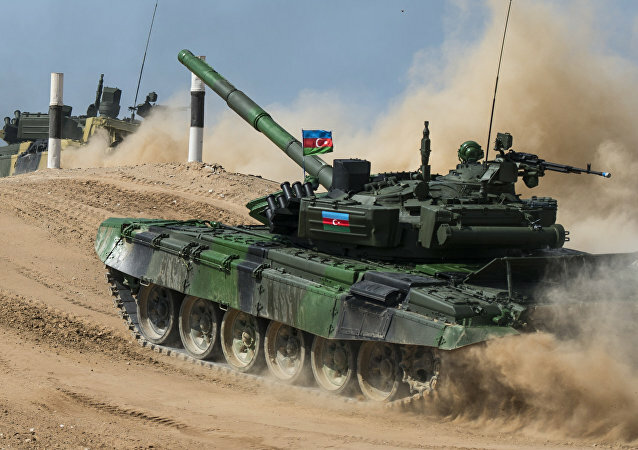 The Russian team has won the first round of the 2014 World Tank Biathlon individual race, chief referee Lt. Gen. Yury Petrov said Tuesday. Police cars escorted the Topol-M missile launchers on their way along the Moscow Ring Road last night. The convoy was headed from the Ivanovo Region to Alabino, near Moscow, for the May 9 Victory Day Parade rehearsal.